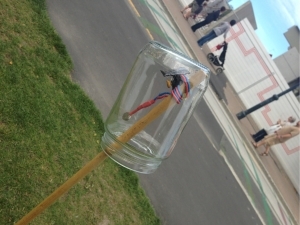 Sound Sky is a city-wide audioscape of the collected voices of Christchurch. As a contributive artwork we invite you to listen to and add your own stories, memories, visions and ideas to the audioscape via mobile phones. Our thanks goes to Jason Blair at Katabatic Creative for the wonderful photo of Christchurch used on this site and in the Sound Sky iOS app. The artwork is being developed by a collaboration of individual artists and organisations. Partnerships with the organisations CEISMIC, Gap Filler, the Cantabrian Society for Sonic Artists (CSSA), A Brave New City and other local artists and groups are allowing the project to take a long-term, localised and collaborative approach. Go for a wander, have a think... add something about the place you are standing... Hear it play back to you from within the work.